I provide one on one intuitive healing sessions that give clients an in-depth reflection into their lives along with holistic guidance and healing for the balancing of the energy body. During a session you will receive clarity, guidance and insight as I read your energy body and translate what I see. Sessions are infused with Holy Fire Reiki energy healing and supported with Holistic Advice and suggestions to best help you. I take a holistic approach with my clients with the whole person (body, mind and spirit) to give clear and direct guidance to help to achieve results. Sessions last 60-90 minutes in a comfortable and safe environment and no topic is off limits. Most clients feel an immediate shift. Many people do not know what to expect during a reading, so I wanted to give you a small insight as to what it would look like. My readings are not bound by location, space, time or distance, meaning we can do a reading together anywhere, anytime. Some clients have had readings by phone, some at the office, some in their home and some even at a coffee shop. I believe that sessions work best when we work together. We will start by setting a clear intention and I will begin to tap in to your energy body through my psychic gifts and through intuition. We will look together into your energetic field, and often times I will relay messages from spirit guides or loved ones. I generally will receive and relay information through my clair senses to you as I begin to read the language of your energetic body also called the subtle body. Information comes as images, messages, colors, emotions, impression, sounds, thoughts and feelings. Often times my body will even relay messages through physical sensations or callings to help relay in depth insight into current physical manifestation of an energy imbalance or block. My spirit guides often guide me with giving clear advice for my clients to move forward with tangible "to do's" to help find the highest healing possible and often times awakening the divine gifts that have been hidden within my clients. I have helped remove entities that do not belong in a persons space, helped remove chords to other energy beings, and pass romances and relationship, and even worked with past lives that needed healing and crossing. It is an incredible process and I love what I do. Sessions are priced at 60-90 minutes, however to be completely transparent, I take my time with my clients and some sessions last nearly 2 hours (yet it feels like minutes). Near the end of each session, I balance the chakra systems using Holy Fire reiki and cleans the Aura and seal the aura with a shield of protection. I then focus on grounding the client back into their physical body and listen to any specifics their guides or mine relay for pertinent information or tools that will help the client best support the session. As for Channeling, because of my specific gifts, I channel mostly guides, past lives and energies of ascended beings. When in mediumship, I very often don't recall all of what is being relayed from a being as they will take over my body to relay directly to their loved ones. Making the decision to get a reading shows that you are ready for a change. I am always in awe when someone invests into themselves this way. I too did the same when I began my healing journey and needed answers to my questions and clarity on my gifts. So congratulations! To make the best of the reading, receive the most information and to find deep results I ask my clients to prepare for their reading. To best prepare for your reading, I always encourage my clients not to drink alcohol or do any recreational drugs for at least 24 hours and to drink lots of water. (This does not include prescribed medications.) This helps with reading the client and hearing what the energy body is saying even more clearly. The following list is several things you can do to get the most of your reading. Remember that these are all suggestions and not mandatory. No Alcohol or drugs for 24 hours prior as this helps to keep emotions from influencing the reading. Bring a journal and pen for after the reading to jot down any notes. Bring your phone in case you would like to record the reading or if we use cards so that you can take a picture of the cards. Meditate for 5-10 min (if you would like) the morning of your session for good grounding. Know that just by booking your session, you are already creating energetic change for awakening, healing and rising. Clear your schedule for an hour or two afterwards to allow the session healing and messages to integrate fully. If you have any questions or want to get to know me better, you are welcome to schedule a connection call with me. This 20-30 min free call is to give you space to ask me any questions, for me to give you a little insight into the session and to help us both make sure we are a good fit to work together. You are worth investing in. You are, in fact, the best investment you could ever do. A one on one psychic reading and energy healing session called “Intuitive Healing Session” is an incredible opportunity to awaken, heal and rise to your fullest potential. I guide clients into deeper, quicker and more potent healing with my psychic gifts than with any other healing modality. I especially love awakening these gifts in others. Do the session have to be in person? No - Distance is not a factor, energy permeates all time, distance, space and reality and can be done over the phone, on zoom, facetime, facebook messenger, or any other social link. More than half of my clients have been all over the world including the United States, South Africa, Philippines, Canada, Mexico, UK and more. Do I have to do anything special? Nope- besides the above recommendations; water, quiet space, avoiding alcohol /drugs for 24 hrs - Again, there is no limit to the psychic abilities that are within us all. I want to talk to a deceased loved one - can you do that? 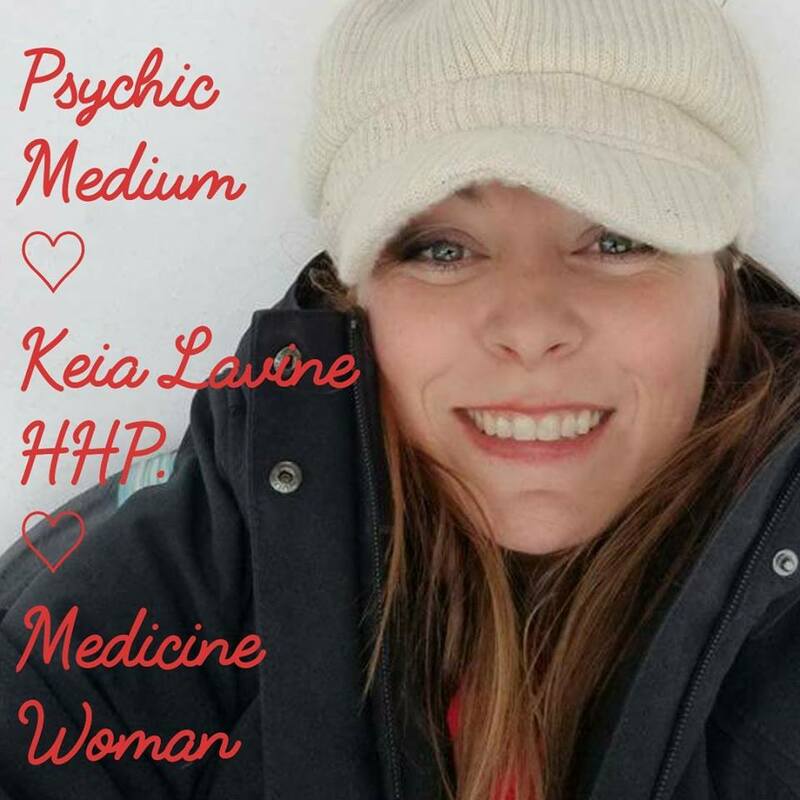 My work is geared more towards the healing of your mind, body and spirit... Often times a deceased loved one will relay a message, however I don't always practice this type of mediumship. The answer here is not definitive at this time in my practice. I don't want to say no because it has happened with several clients of mine. I am still uncertain if this is worth it. As a modern day woman, and single mother of two, I understand completely the pressures of money and time and I am here to offer you my intent to give you the most for your session. It is my intent to help all my clients heal, find clarity and live a life free from suffering. That can sound pretty cliche' however it is my deep believe that it is possible and I am honored to be able to take part in the awakenings of so many with this gift. I am so happy for you to experience the healing that comes from a psychic reading. Through practice, embodiment and a great mentor, I have learned to hone my gifts to offer my clients deep and transformative healing sessions.